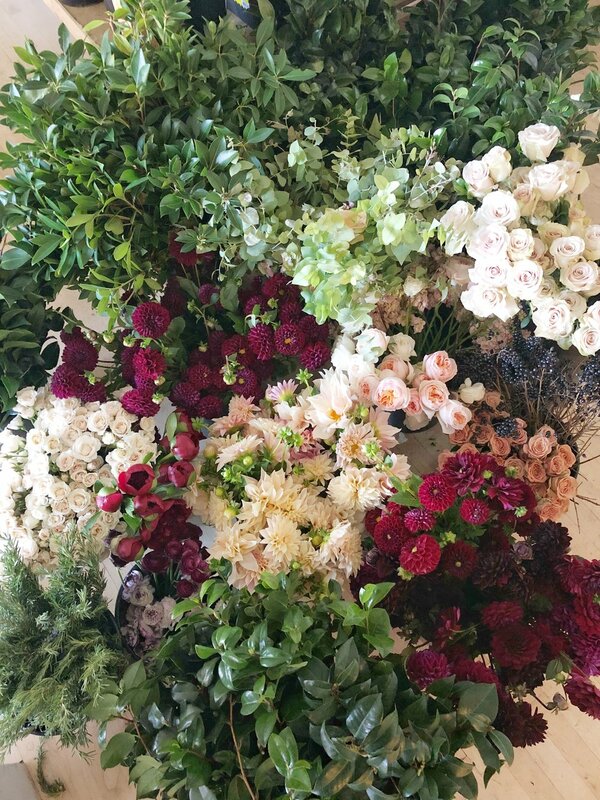 Mid-October Wedding + Studio Update — EVERGREEN FLOWER CO. This weekend we had just a couple weddings to design for and we got a ton of organizing done in the studio. 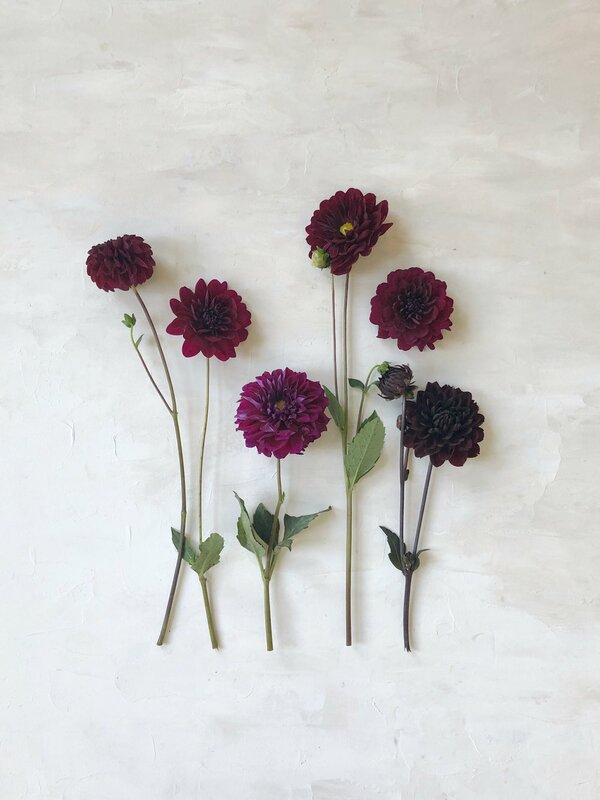 All of our dahlias this weekend came from Sunny Meadows Flower Farm — it was the last week for them due to frost! We got in cafe au lait dinner plate dahlias, chocolate dahlias, ivanetti, diva, and karma naomi. Below, you will see most of the product we got in this weekend for our weddings! One wedding was at The Athletic Club of Columbus, and the other in Delaware. We’ve been building up a “flower book” on our Pinterest page of images of stems of the different product we’ve been using! You can check that out here! 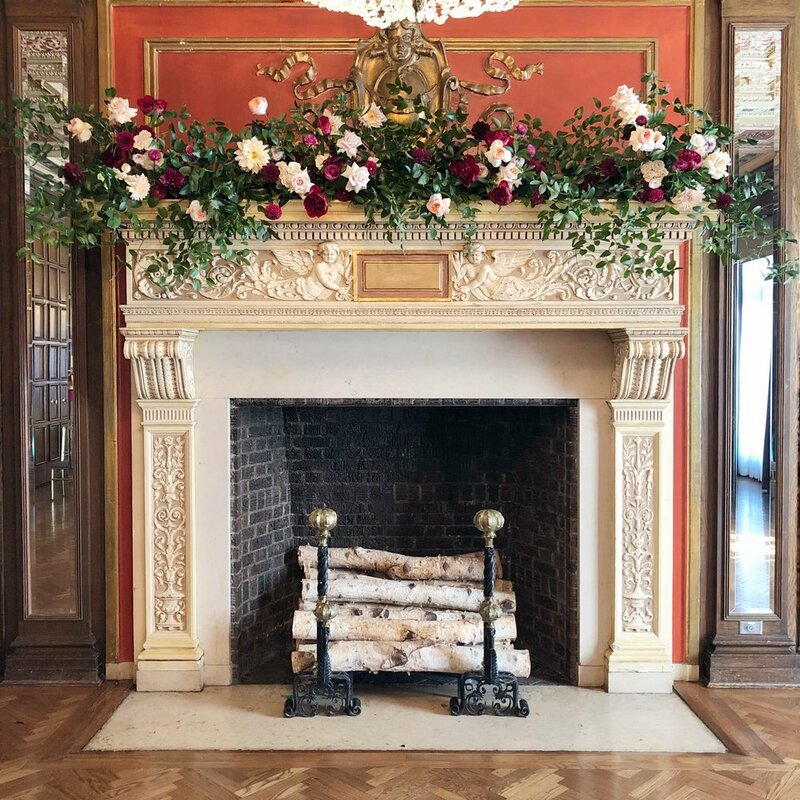 Friday’s wedding was at The Athletic Club of Columbus, and our favorite thing to do at The ACC is to decorate the massive fireplace. After a swift setup on Friday morning at The Athletic Club of Columbus, we returned to the studio to finish up designs for our Saturday wedding in Delaware. On Saturday, Johni and Megan set up the wedding while I stayed behind to clean, organize, make a few wreaths, and get some paperwork done. I made a couple dried wreaths, and one made of live camellia—I’m hoping the camellia wreath drys in an interesting way, so we will see! Each dried wreath is available for purchase and will last as long as you can take good care of it—we are hosting wreath-making workshops this year as well which you can check out here!